By now, you’ve probably packed away your holiday decorations. Maybe you have even broken your New Year’s resolutions. But with last year still fresh in your mind, it’s still a great time to get organized! It may even be one of your New Year’s resolutions.The key to good organization is simply having a place to put things. Your tax documents, photos from last year’s trips, or kids’ art projects may be scattered in your closet or in some miscellaneous pile. Your trading card collection is spilling off the shelves. And those concert or movie stubs you wanted to keep forever…they haven’t even left your wallet!The beginning of the year is the perfect time to gather loose ends and sort them out. The first step is get organized. 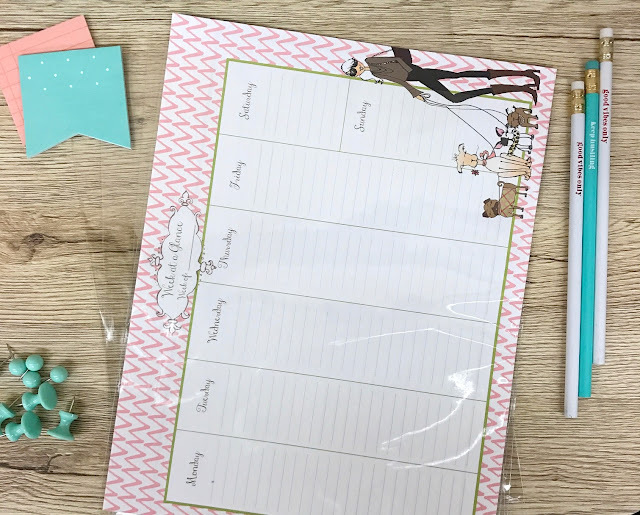 Bags and boxes can help sort, categorize, and prioritize to give you a fresh start for a new you in the new year.Here are a few ideas to get you rolling. The new year ushers in the arrival of tax forms, renewal notices, and important documents that need your attention. Meanwhile, your stack of mail is accumulating, and let’s not forget those all-important instruction manuals leftover from holiday gifts.We have the perfect solution for those wandering pieces of information. 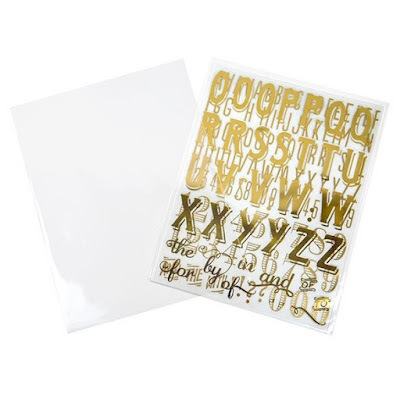 A simple clear sleeve with no flap or adhesive is a great way to hold critical documents. These bags are open-ended, which makes inserting documents a breeze. These no flap bags are so clear, it may not even be necessary to remove your document from this sleeve to read it.What’s more, these bags are acid-free and archival safe, so you can feel confident knowing your important records are protected for long-term storage. Collect your receipts for gas, trips, and restaurants. File away your healthcare records, insurance notices, and anything that may need referencing later on during the year. These bags are available in all sizes, including those intended for standard 8 ½ x 11” paper. Your records are not only safe, but are held together while easily being able to tell what is inside. Paper is not the only thing that may need sorting in the new year. Office and school supplies, computer hardware, cords and cables, toys, and crafts. There is so much to categorize, organize, and put away! Zipper Bags are an excellent way to categorize and prioritize items. Three bags you may consider are standard zipper bags, sliding zipper bags, and white block zipper bags. Standard zipper bags are great for holding just about anything and are best to use when you want to see the true color and details of your contents because of their high clarity.Although not as clear, sliding zipper bags probably offer the most tactile packing experience. A white grip sliding mechanism enables an easy zipping and sealing that you can actually hear slide open and close. Who needs twist ties?Better yet. Who needs labels? With White Block Zips, you can write directly onto these bags, compatible to use with most pens and markers. What is more convenient than resealable bags you can write on? Easily track dates of receipts, photos, and inventory materials. The information is easy to locate since it is always written in the same allotted space. Feeling overwhelmed by that project to organize your garage? 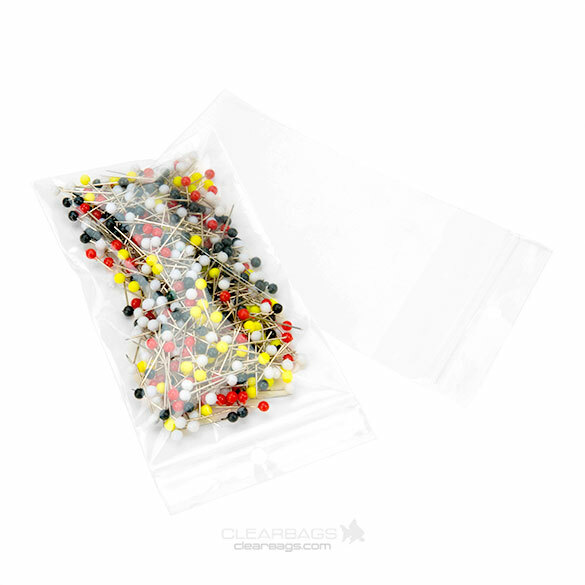 These bags work great for sorting nuts, bolts, hinges, and more. Other possibilities include documents, sewing supplies, fabric, textiles, or for sorting photos. Consolidate office/school supplies and crafts. The possibilities are endless. These bags are also great to have on hand for airline travel or for packaging snacks. The zipper closure allows you to reseal and reuse, making these bags a practical solution when you need to add items at a later date. This way, you can ease into any organization plan. Is your cherished collection collecting dust? While plastic bags can be used for any kind of document storage, there are bags specially designed for albums, comic books, and trading cards. Why not use bags that offer your prized collection the best possible protection? Is this the year you’ll organize your vinyl records? Album Sleeves can protect your album covers and records from dust and scratches, and keep those sweet sounds coming. Whether it’s jazz, classical, rock n’ roll, your old 45s, or your most favorite double album, we have protective sleeves to preserve your collection. These sleeves are acid-free and archival safe for optimal storage. Not only will your records sound amazing, they’ll look polished, too. These bags have superior clarity you can see and feel just like your analog records. Your vinyl will never go out of style! Are you a fan of Capes & Tights? If you are, you might have a comic book collection that’s in need of some clear Comic Book Sleeves. These bags will keep your comics in pristine condition and are a deal at wholesale prices. Comic book bags are available two ways. One version has a flap with no adhesive; the other has a protective closure with an adhesive strip located on the bag. If you are a collector who prefers to tape your bags close, the flap bag with no adhesive is for you. But, if you are looking to eliminate the need for tape altogether, the protective closure bag has an adhesive tape located on the bag itself and not the flap! This allows you to easily insert and remove comics without any interference from sticky glue or tape. Bags and white backing boards are available to fit new comics and older era comics with extra width and thickness. Maybe trading cards are your big passion. The new year is the perfect time to dust off those baseball, Pokemon, and Magic: The Gathering cards and give them a well-deserved spot in a clear protective bag or storage box designed to fit trading cards. Made from acid and lignin-free material, these containers will shield your cards from unwanted wrinkles or warping, and provide your cards museum-quality storage. You’re not only protecting your collection here, you’re preserving history. Beyond these specialty products, plastic bags generally are a great way to organize collections of all sorts. These also work well for dice, game pieces, marbles, stamps, and more. Experiences and events can come and go, but what about our memories? Those can last forever! One way to keep those memories fresh is to gather them all up and hold them in one place. What better way to do this than with a keepsake box for photos and memorabilia? Throughout the past year, you may have collected stray photos, brochures, and ticket stubs from concerts, movies, and trips. At this moment, you might be wondering where you’ve put them all. Or, you might be considering for the first time, as you read this, that you’d like to collect these things for such a box. Whatever the case may be, a box is a great container for holding loose items of different sizes and textures. Organizing photos for an album or scrapbook can feel like a daunting task, especially if we are all so busy continuing to snap photos. Many of these photos remain in digital form, growing in number on our computers. Should you decide to turn these digital memories into physical prints, a practical way to store them is to use photo sleeves. Similar to the bags used for holding important documents, these bags have a flap with an adhesive strip for sealing and securing your photos. They also provide acid-free, archival safe storage so you can feel confident your memories are well-preserved. They are available in a variety of sizes commonly used for photos. No longer will you ponder where that treasured photo is on your computer. Consider using these bags for wedding photos, enlarged prints, single photos, or a stack of photos printed by your local retailer. Backing boards can also be used to give your photos even more protection. Keep in mind you will probably want to use a bag with greater dimensions than your photo size to allow enough depth to accommodate a stack of photos. If you require more space for a collection of prints, this is when photo boxes can really come in handy. Made from either plastic or metal, these boxes are sturdy and offer optimal archival-safe storage. They can be used as a temporary holding space for an upcoming project or for long-term storage. If organizing chronologically seems overwhelming, you can always label your photos boxes according to seasons, events, or vacations. These photo boxes aren’t just for photos. These boxes work well for holding kids’ art projects, report cards, and awards. The beginning of the year may be a midpoint in the school year, but it will give you a jump start on organizing if you can do it now! Perhaps you have a special trip to remember. 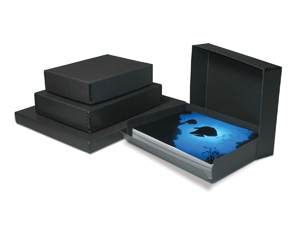 Photo boxes are available in all sizes, ideal for capturing a single event or experience. Organizing does require a bit a planning and takes time, but it may also save you time in the long run! Just think. You can’t get those moments searching for lost paperwork back. But the time you spend organizing now will be a huge payoff later and help you achieve your goals. The bonus of using clear containers is that you can always see what you are organizing, which hopefully makes attaining your goals even easier. We wish you a wonderful, fresh start to a successful new year!